Be sure to catch these shows on TV tonight Rhythm City eTV (DSTV channel 194) 18:30 Thandeka and Zolani find themselves getting closer and deeper in their romantic connection. Stefanie approaches Zolani to take over from Lucilla at 9-Nine but he is conflicted due to his commitment to Red and the casino deal. Reneilwe is bust by Mamokete for her new smoking habit. Out of Bounds. Asha reels from shocking news, to the enjoyment of Jelena. Kyle skirts the rule that she's dating a player. Pete encourages Raquel to stand up to her ex. 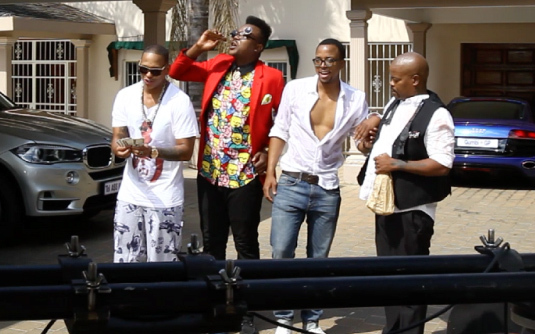 Ziyon strips down some of Liquideep's new and classic material. We're also given a story of the duo's musical journey. Life After Death. Mpiyakhe has a score to settle. Iris gets no answers from a stunned Zweli. Tempy Pushas SABC 1 (DSTV channel 191) 20:32 The series focuses on two giant fashion houses, two families - a poisonous saga of greed, revenge and buried pasts, as the multi-million rand fashion market lies waiting… for the taking! Muvhango SABC 2 (DSTV channel 192) 21:00 Mankosi and Malume Themba finally meet their long lost brother. Busi and the Professor’s relationship gets emotional. Mulimisi continues to confuse VhoMasindi. What would you do if you came off tour and Trevor trashed your mansion? The show leaves the question to Da Les, Tol A$$ Mo and Maps. Welcome to the lives of the real Jozi A-Listers.